...in which Zonker, a character in Garry Trudeau's comic strip Doonesbury, presents a common view of one social activity... 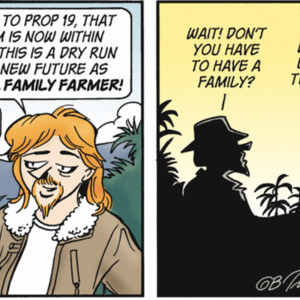 This "Doonesbury Flashback" appeared March 20, 2012, a reprint from an earlier publication date. Garry Trudeau, “Doonesbury - square dance,” Square Dance History Project, accessed April 26, 2019, http://squaredancehistory.org/items/show/763.